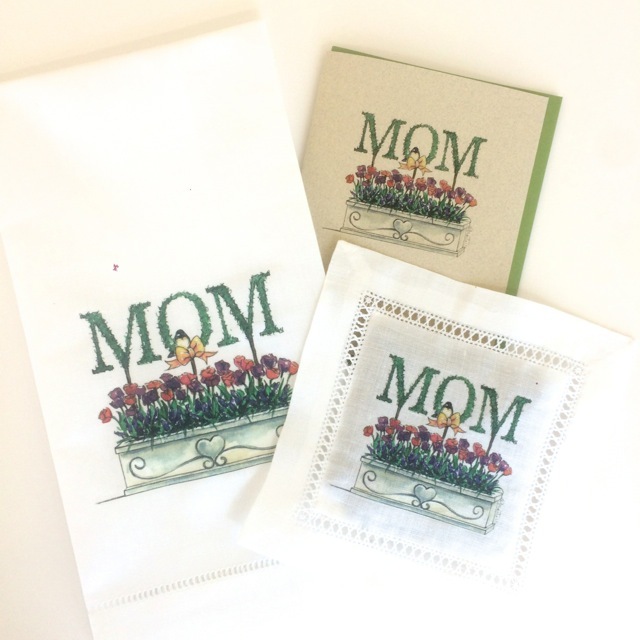 Loved by moms everywhere… chickadees, flowers and topiary! How can you go wrong? Both of these designs are perfect for Mother’s Day! 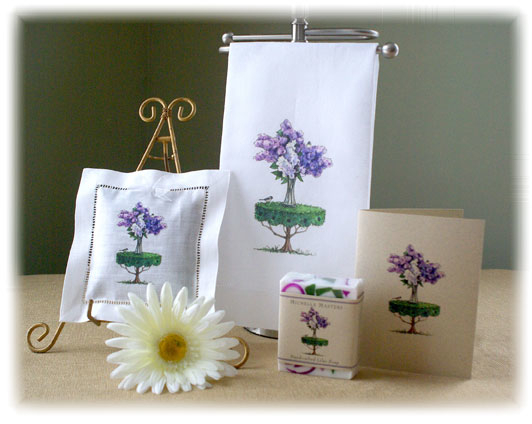 Each design has a corresponding Card, Soap, Lavender Sachet and Linen Guest Towel! For both MOM Topiary or Lilac Bouquet ordering information click here. Hi, I'm Michelle. I am an artist/designer specializing in unique topiary themed illustrations for the Home & Gardener. I live on a farm in Upstate New York with my husband, aka Farmboy, my two children affectionately known as "La La" and "the Bean" and a small petting zoo of other family members. This blog and all of the creative elements ie., written content, illustrations and photographs are the sole property of Michelle Masters Studio and cannot be reproduced in any form without the artist's permission.